Over the past four years, El Toro has become one of the premier names in political digital advertising. We view creatives every single day, and feel it’s safe to say we know a thing or two about making effective political ads. Political consulting firms spend hours working on creatives, perfecting the messaging of their candidate through digital banner ads. This article will be highlighting some of the most effective ads we’ve seen in the last few years. As a disclaimer, the ads shown below are not an endorsement of any candidate. We are a bipartisan technology platform and have worked across political parties on the local, state, and national level. These are the best practices to follow when creating great political ads, directly from the candidates who won. Notice how the words “Attica Scott” are clearly visible, but stand out against the red and blue colors. This ad is hard NOT to see when scrolling through a webpage. It’s important that voters can put a face to the name. 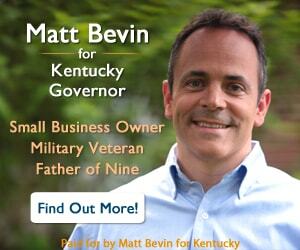 Many of the most effective political campaigns run through adtech systems have great images of their candidate. The picture needs to be clean, and one that resonates with your audience. As with all digital banner ads, a message and call to action is critical to the success of the campaign. With political ads, the messaging needs to reflect either the credentials of the candidate, or the message they’re running on. Sometimes, political consulting firms will come up with a unique and creative approach to generate a click. Usually, this ad is not only engaging, but interactive. The ad above addresses not only a large issue that the candidate is running for, but also pushes the target voter to guess at the tax cuts Rand Paul has achieved. This can really help convince the voter to not only click, but they’ll also be more likely to remember the unique messaging from the candidate on election day. Political advertising focuses primarily on putting an idea into voter’s heads. 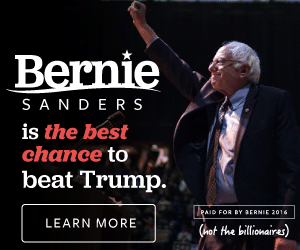 Putting significant, relevant stats on the ad, regardless of if they click to learn more, influences the voter to believe a candidate is fighting for them. Political ads are a unique space. Pairing a great visual ad with adtech like El Toro’s IP Targeting can potentially generate a lift in voter turnout up to 5%! We would love to take some time and connect with you to discuss running your political digital marketing campaign with our advertising technology. We hope this article helped, and we look forward to working with you! Social-Impact is a registered agent of El Toro.